Our car was registered under my name and my late husband’s. How do I clear title now that he has passed away? How do I clear title now? If the ownership document (pink slip) of a vehicle shows your name and your late husband’s name joined by “or” (Nancy Miller or Robert Jenks, for instance), or joined by “and” but with the mention “as joint tenants” (Nancy Miller and Robert Jenks, as joint tenants), then the vehicle is held in joint tenancy. Sometimes, the owner mentions a beneficiary in case of death with a transfer on death form, which is done when registering the vehicle. The same procedure as described above would apply. 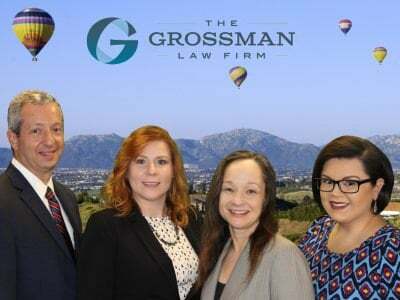 In conclusion, we advise that you call San Diego estate planning and probate attorney Scott Grossman for a free discussion of your case. 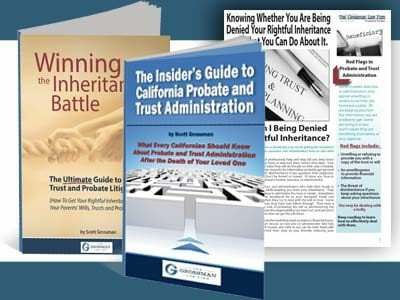 You may also order his free book The Insider’s Guide to California Probate and Trust Administration to learn more about the probate process. A person who benefits from a trust, will, or life insurance policy. This includes heir, heiress, inheritor, legatee; recipient, receiver, payee, donee, assignee; devisee, grantee. 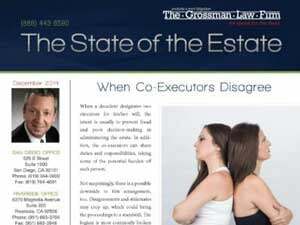 The ownership of an estate or property jointly by two or more parties. The portion of each passing to the other owners on death.